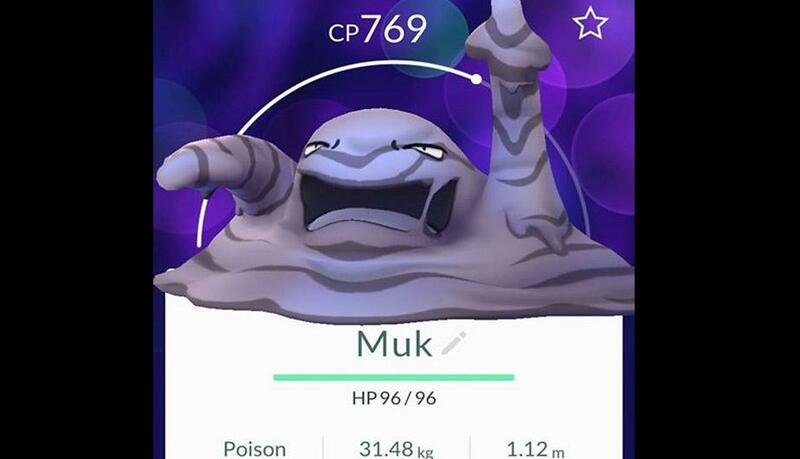 One of the rarer creatures in Pokemon Go, Muk is a sloppy, poisonous pile of muscle. Pokemon Go is loaded with loveable little pocket monsters, and while some look soft and approachable, some are less cuddly than their brethren. The latter is the case with Muk, a dastardly Poison-type Pokemon whose description and physical appearance aren't what most would call "appetizing." Despite being rare, Muk isn't as hard to find as some of the other rarest creatures in the game, and North American players in particular should be able to find one through persistence. Muk, and the Grimer that he evolves from, is one of the rarer Pokemon found in Pokemon Go, which means he's one of the more sought-after creatures. His Poison-type means he's strong against Fairy and Grass type Pokemon and weak against Ground, Rock, and Steel types, which unfortunately means Muk isn't as useful in broad battle situations as players might like. Players with 5k eggs might be lucky enough to hatch a Grimer, as several players have reported hatching IV Grimers from 5k eggs. From there, it's up to individual preferences whether or not the Grimer should be evolved into a Muk. Lastly, for what its worth, users across various forums seem to have luck finding Muk in the wild while Pokemon hunting around industrial locations like waste management facilities and at big-name commercial outlets like Walmart and Target. With that said, most these reports are unconfirmed, and it may be that such statement reflect humor or social critique more than they reflect actual hotspots. Complete your mastery of Pokemon Go with our handy Strengths and Weaknesses Type Chart and guide on how to make the most out of evolutions using a CP calculator. Trainers are encouraged to upload their favorite AR-enhanced Pokemon Go photos for a chance to win exclusive prizes.